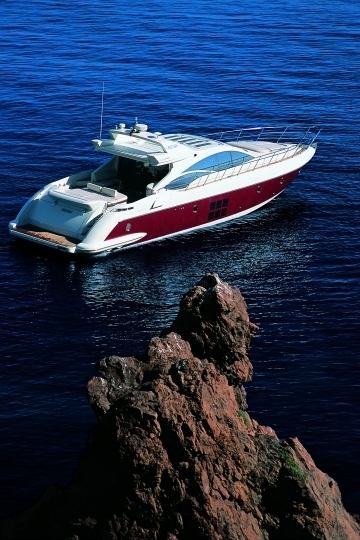 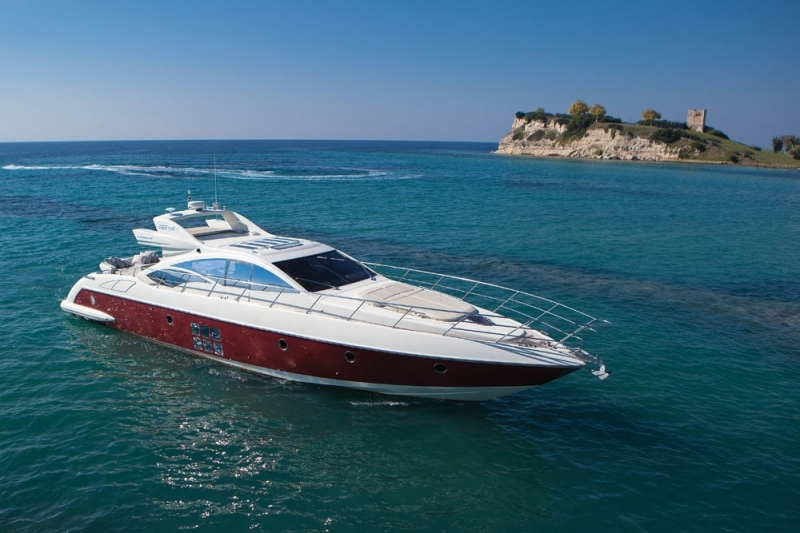 Luxury Motor Yacht LAK is a fantastic Azimut 68S Hard Top, based in Northern Greece and is available for charter in Greece and Turkey. 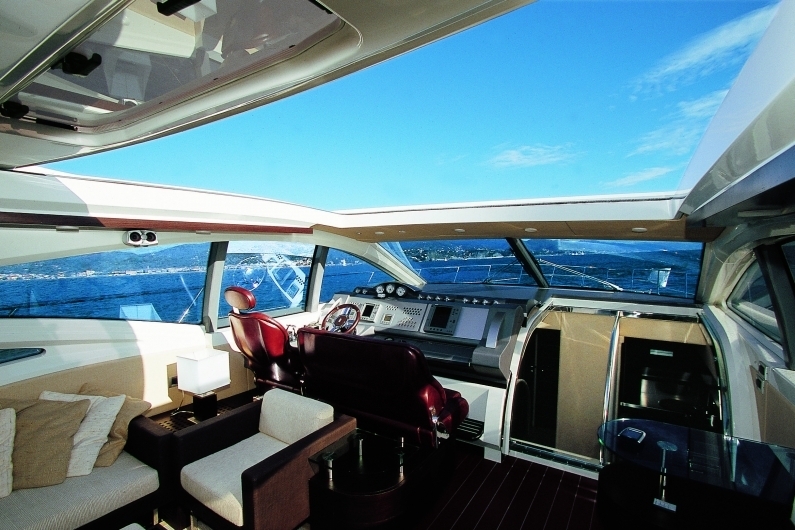 One of the unique features of motor yacht LAK is her open style spacious saloon which leads directly onto her aft deck, creating excellent indoor-outdoor flow. 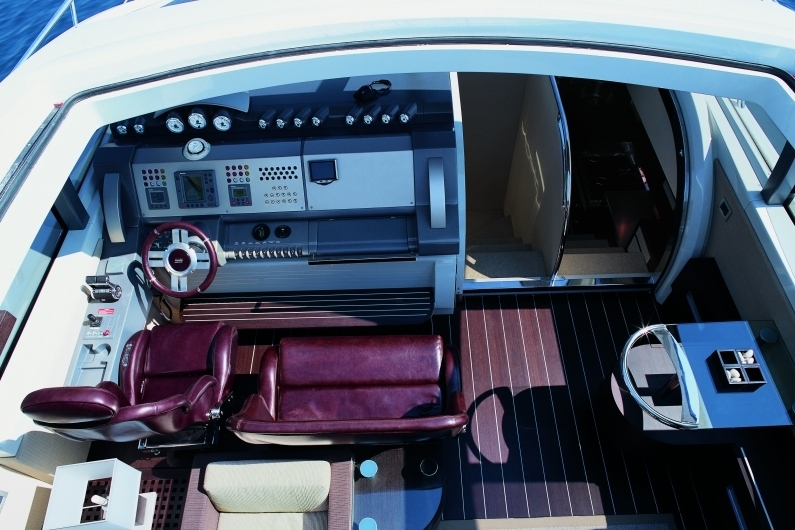 Her interior offers an unexpected sense of space. 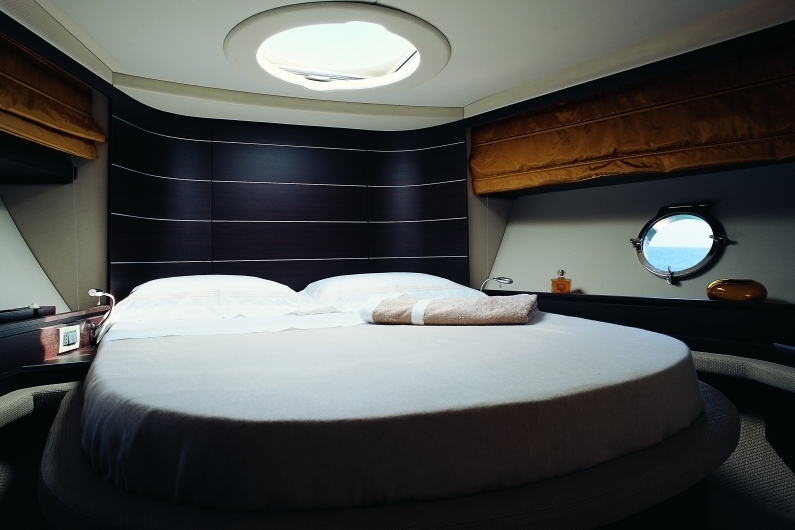 Minimalist furnishings, steel, glass and fine wengé wood, every detail has been designed to make your stay on board as comfortable and private as possible. 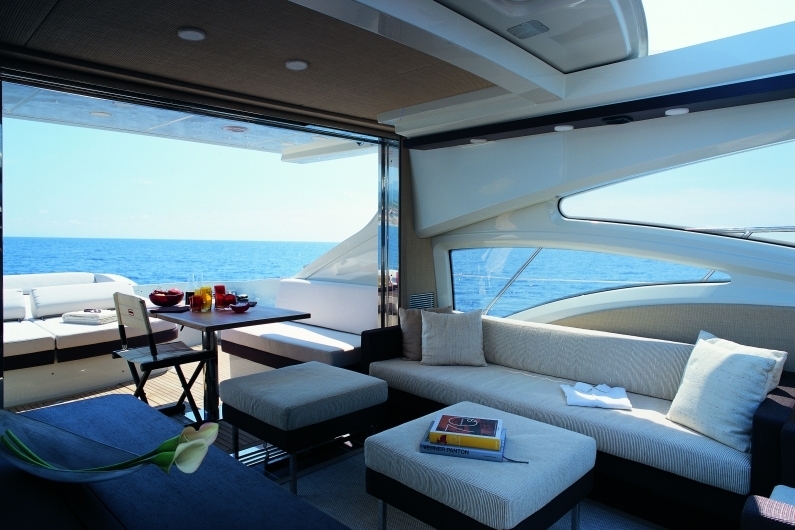 The bow area offers well sized cushions for relaxation under the sun. 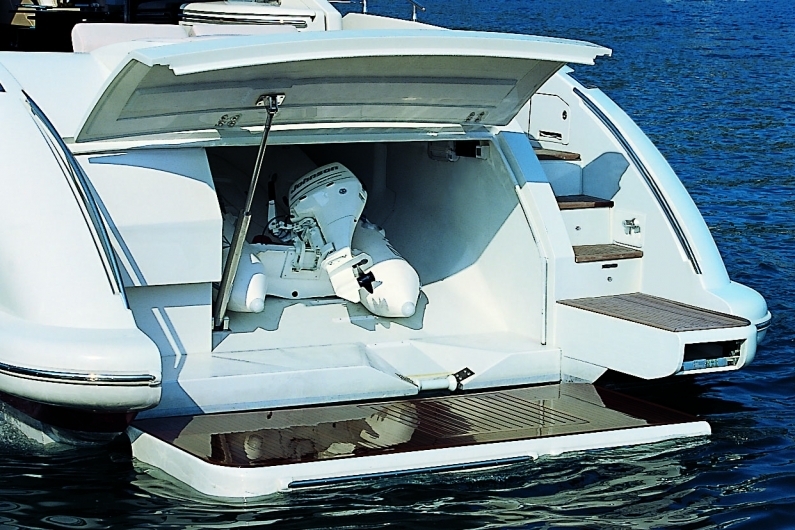 In the stern section, the lifting/lowering platform doubles up as a private beach to enjoy intimate moments surround. 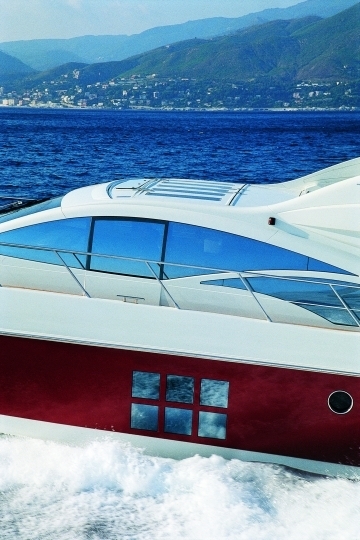 The folding hard top with an opening mechanism allows the guests 65 sq. 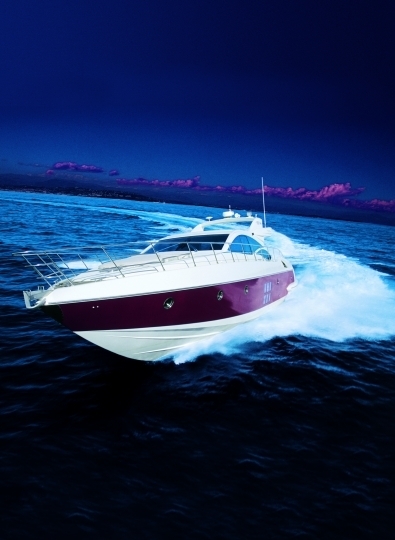 feet of open sky in less than ten seconds. 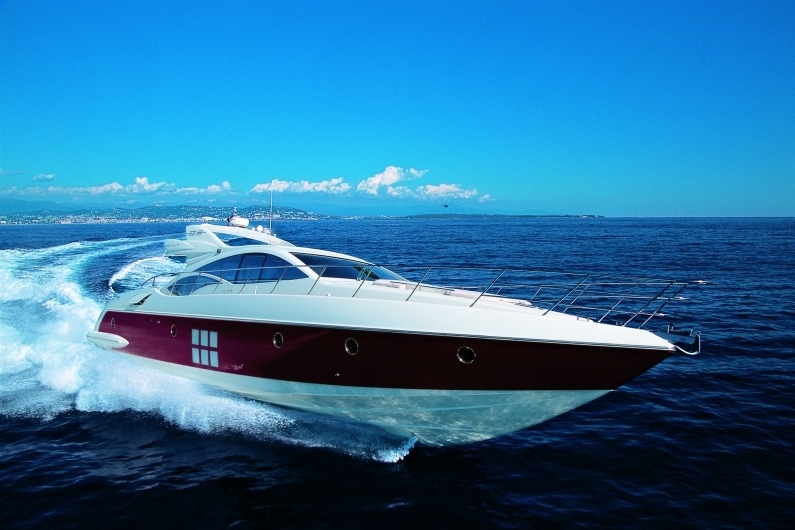 When the entire salon is open she is converted into a stylish sports cruiser. 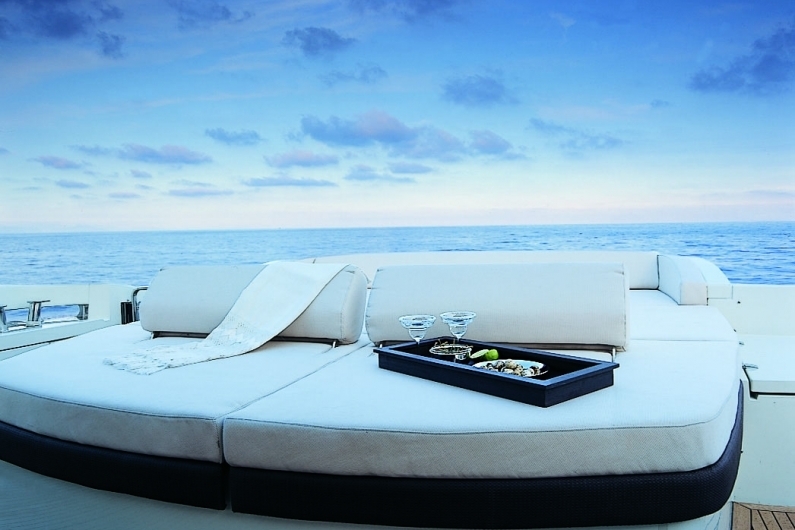 Guests will love the option of being able to dine under the stars in supreme comfort, while enjoying the perfect Greek weather. 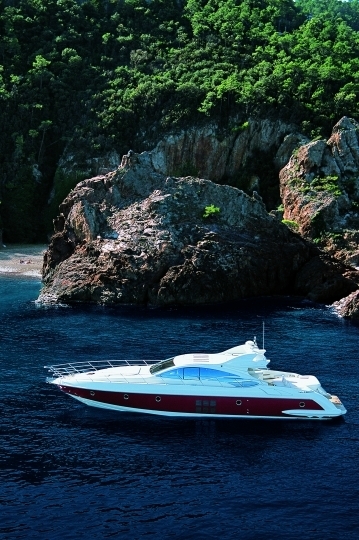 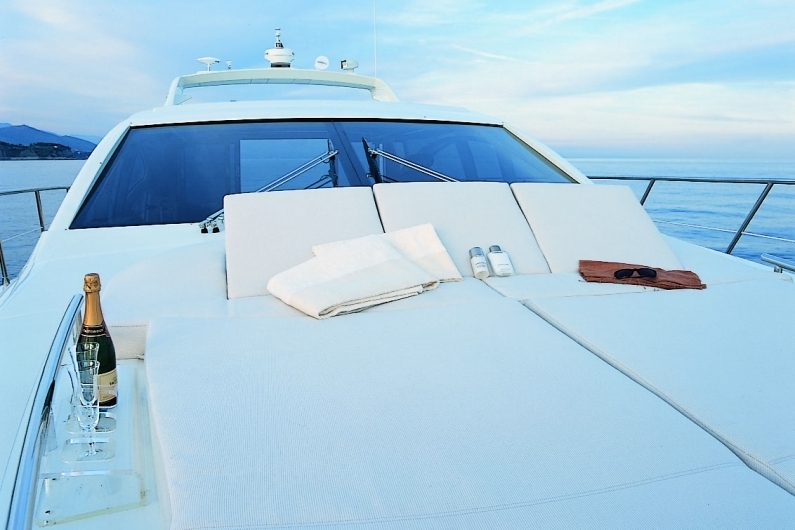 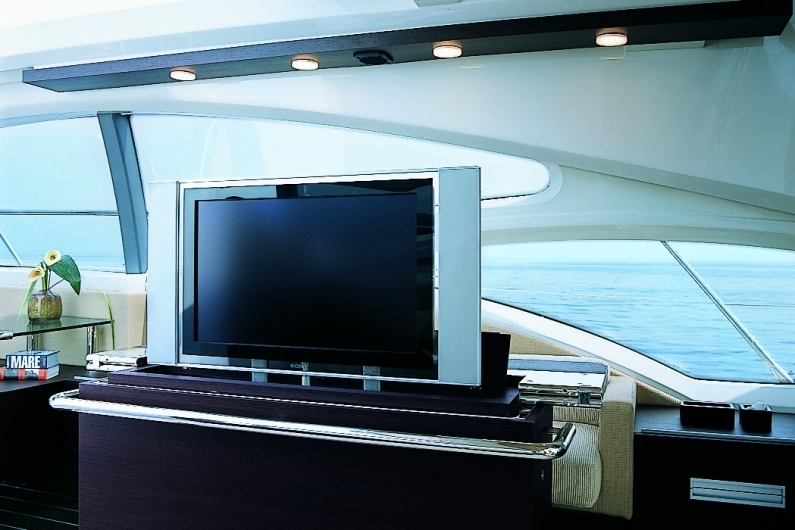 Motor Yacht LAK has qualified Crew of two dedicated to cater very guest need. 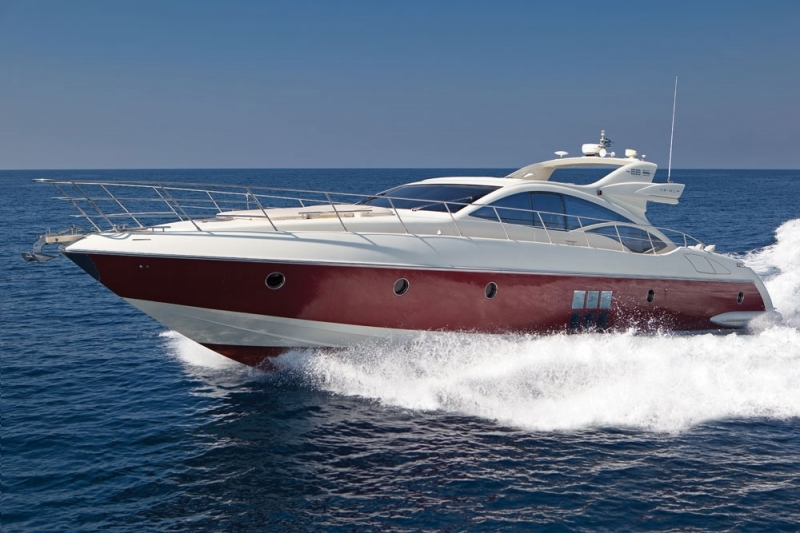 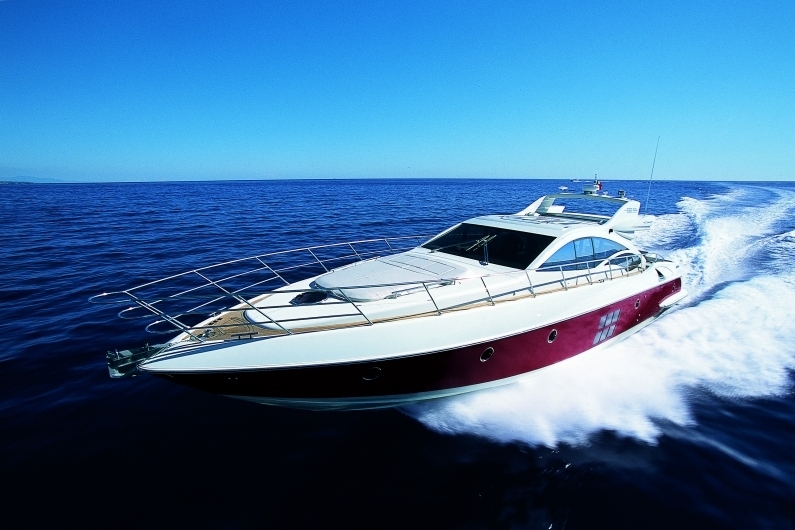 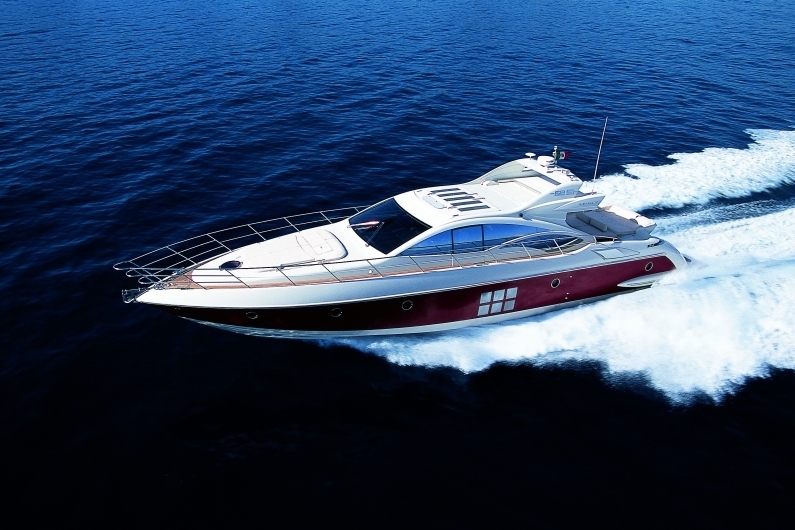 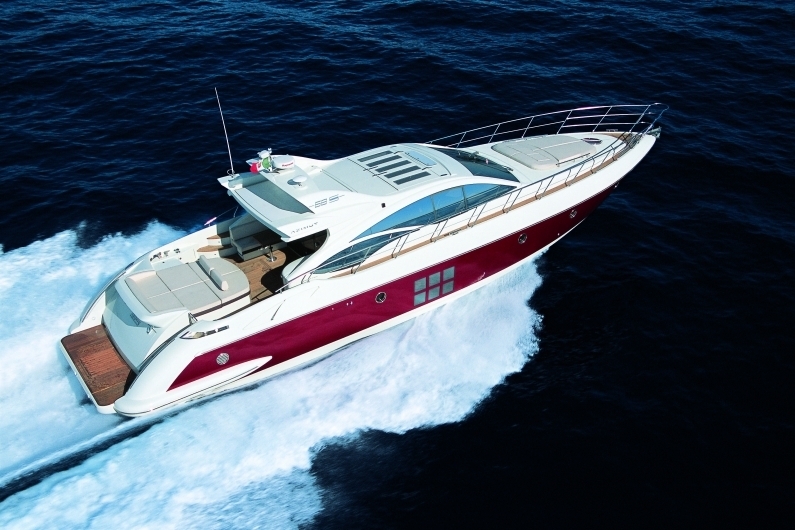 LUXURY DAILY CRUISES from HALKIDIKI: This stunning open style Azimut 68S Motor Yacht is one of the most luxurious yacht in Halkidiki available for One Day cruises to the wonderful coasts and beaches of the aera, Mount Athos, Porto Carras etc. 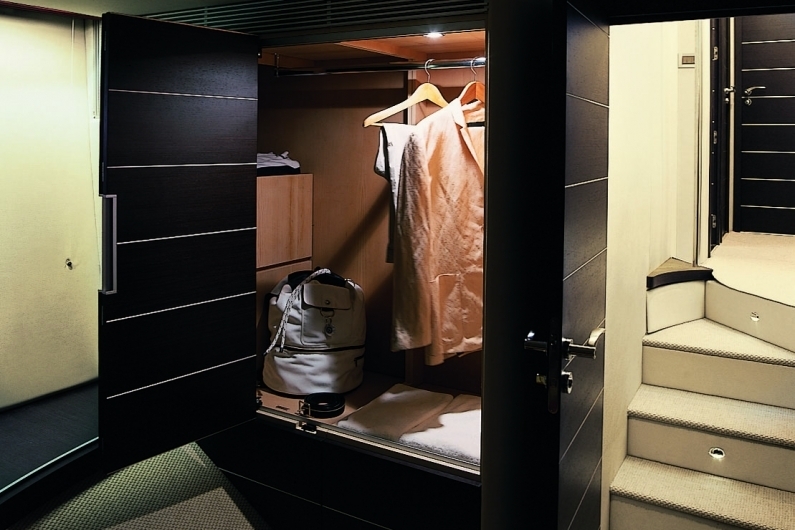 Electro-hydraulically opening garage with storage for tender. 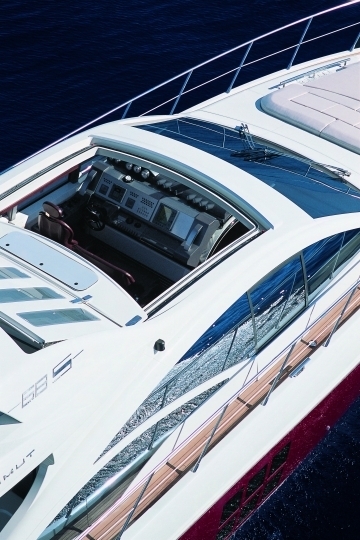 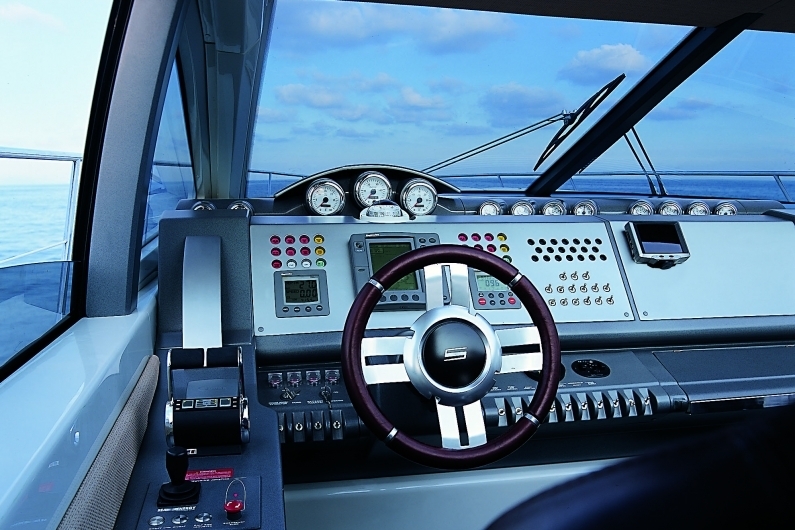 Distinctly sporty feel at the helm, thanks to a responsive, instinctive steering system and a hull designed for maximum performance. 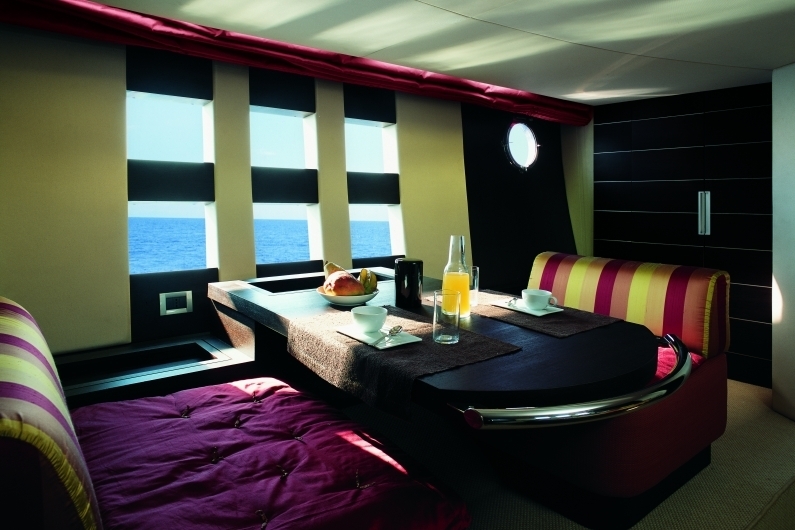 Offers luxurious and comfortable accomodation for 6 guests in 3 spacious staterooms. 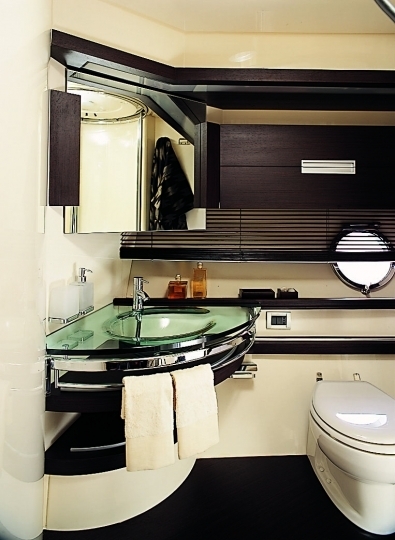 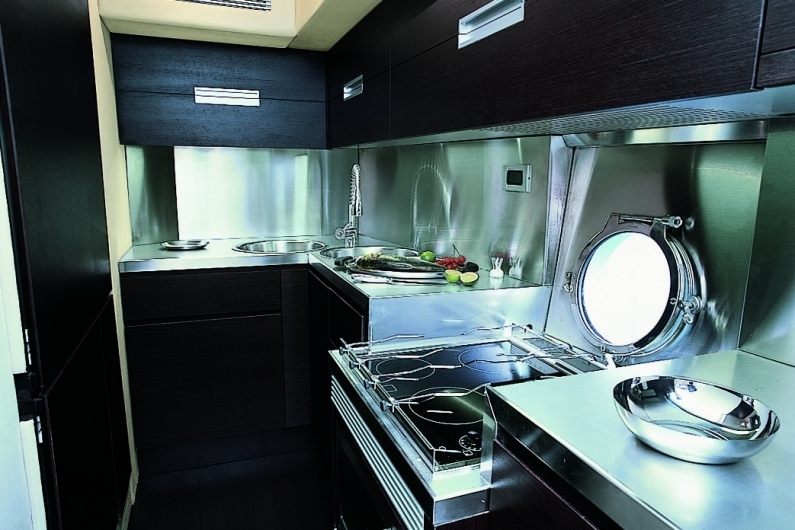 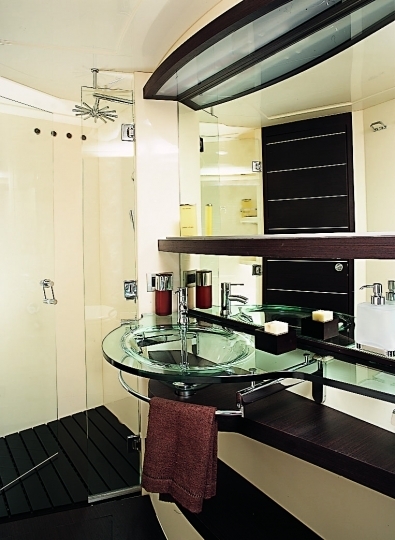 Master & VIP cabins offer double berths and spacious ensuite heads. 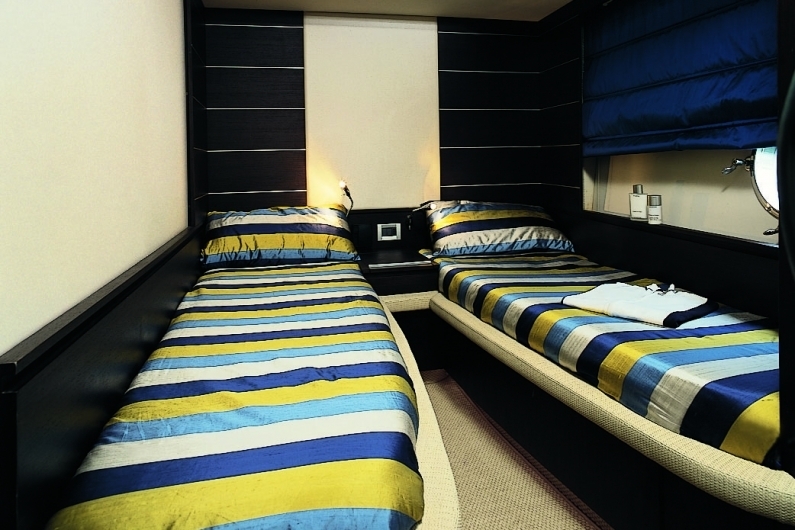 Twin cabin has 2 single berths. 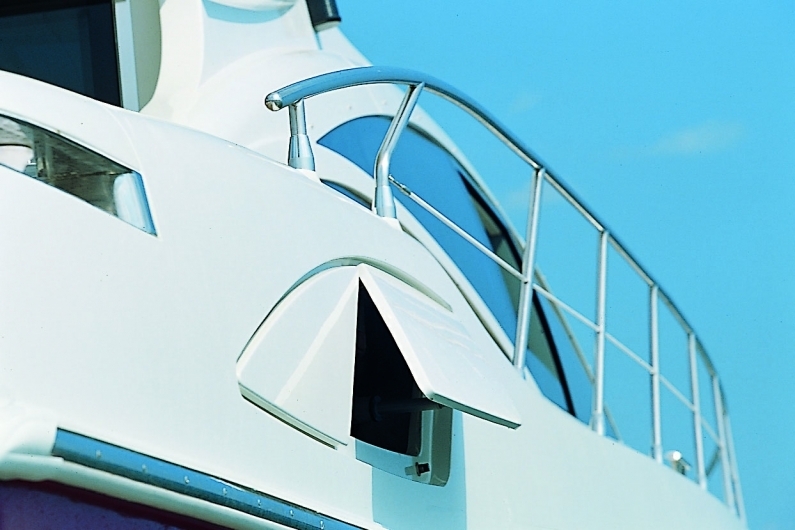 A thrid head is provided for the Twin cabin and/or for day use.